This pendant is made with real gems. I made it myself, so if you see a setting you like and want a different gem in it, I can put in another one as they are not finished. I can probably do it for the same price or real close. I can make these either in gold or sterling silver; just email me for a price. All our pendants come with a lifetime warranty. 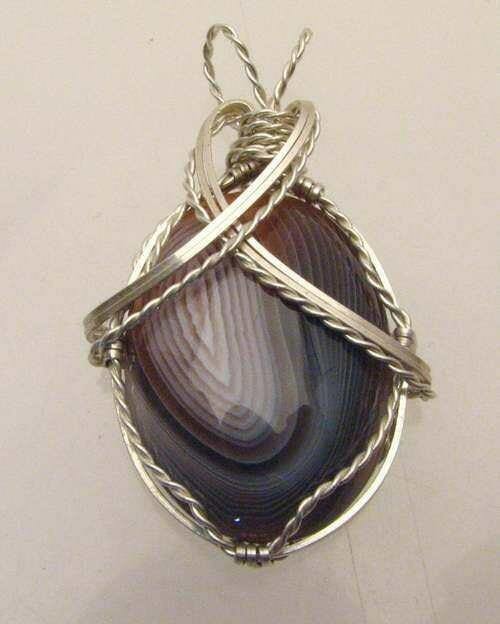 If anything happens to the pendant, send it back to us and we will repair it for free. This covers everything except the loss of the stone, but even if that happens I will charge no more than the stone cost me and reset it for free. Also every year between April 15th and May 15th you can send the pendant back to us and we will clean and polish it, inspect and repair anything that might be wrong with it, and even resize it for free. This is our way of saying thanks for buying one of our pendants and to let you know we stand by our products forever. It's funny how life works. I started this business because I was hurt on the job and couldn't do anything I use to, couldn't even lift two pounds. Now seeing what it has turned into is amazing. I would like to say thanks to my wife Jill, my family, friends and all of you for helping me touch a dream and being a part of it.